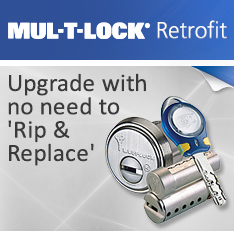 Mul-T-Lock®’s High Security cylinders have a special telescopic pin tumbler mechanism with internal and external pins. Both the internal and the external shear lines must be aligned simultaneously in order for the plug to rotate. 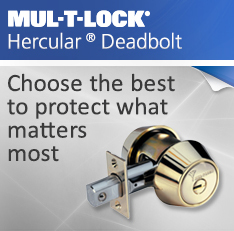 The patented Mul-T-Lock plug has a special structure. When the top and bottom pins, plug and body meet, a three-dimensional shear line is formed, creating an almost perfect spherical shape. Steel inserts enhance anti-drilling resistance. 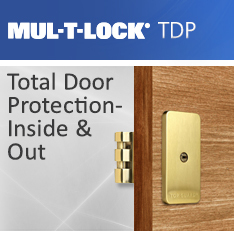 These features provide an added security dimension, amplifying the Mul-T-Lock cylinder’s pick-and-drill resistance for High Security needs. When master keyed, additional side pins or back pins can be incorporated. 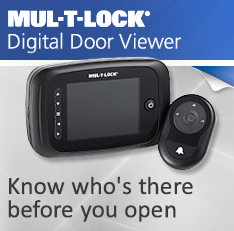 The Interactive system combines the special telescopic pin tumbler mechanism and special features of the Classic system with a spring-loaded pin in the cylinder plug produce a ‘virtual combination’ only when the key is inserted in the lock. 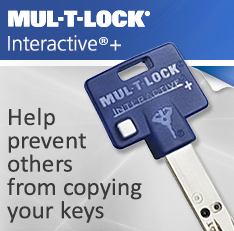 The Interactive patented key and key blank provide increased control over key cutting to achieve an even higher level of key security. 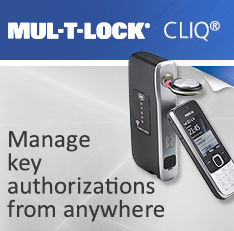 Additional keys are cut after presentation of a Mul-T-Lock key card and verification of customer identity in accordance with Mul-T-Lock key cutting procedures, which may be obtained through professional Mul-T-Lock locksmiths. 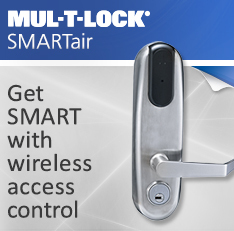 Interactive technology is retro-compatible with the Mul-T-Lock Classic system, allowing existing locks to be upgraded. 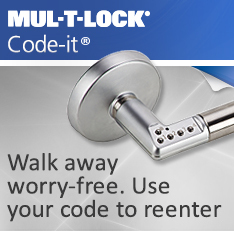 Mul-T-Lock®’s High Security cylinders have a special telescopic pin tumbler mechanism with internal and external pins. Both the internal and the external shear lines must be aligned simultaneously in order for the plug to rotate. 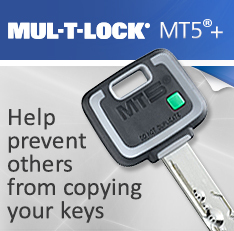 The patented Mul-T-Lock plug has a special structure. When the top and bottom pins, plug and body meet, a three-dimensional shear line is formed, creating an almost perfect spherical shape. 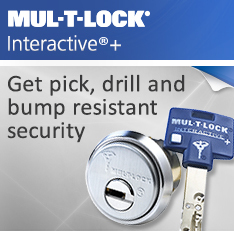 Steel inserts enhance anti-drilling resistance. 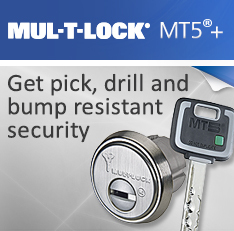 These features provide an added security dimension, amplifying the Mul-T-Lock cylinder’s pick-and-drill resistance for High Security needs. When master keyed, additional side pins or back pins can be incorporated.